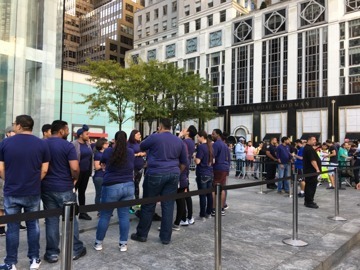 The iPhone 7 and 7 Plus rolled out to 28 regions around the world on Friday, and was anxiously awaited by crowds picking up pre-orders, with others disregarding Apple's warnings of low stock. 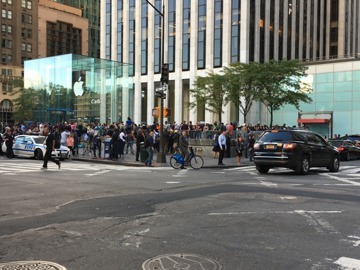 AppleInsider reader Ryan from Traced, Inc. noted large crowds were awaiting the the Fifth Avenue, New York City store opening at 8 a.m.
Ryan also sent us a video of the first purchaser of the phone emerging triumphantly from the shop. 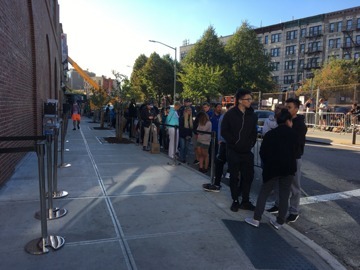 AppleInsider was on the scene at the Williamsburg, NYC store. 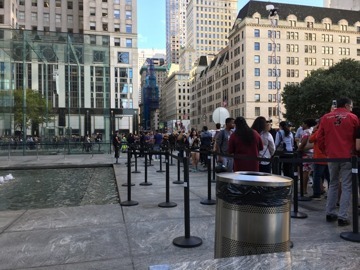 Pre-orders started being fulfilled at 8 a.m., with the stand-by line for walk-in customers processing at 10 a.m. We've been told that there is sufficient walk-in stock of the Apple Watch at that location, and no need to line up. 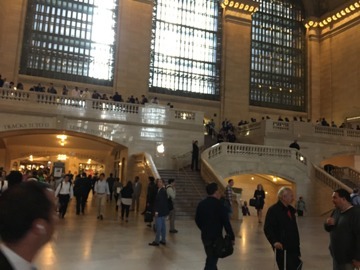 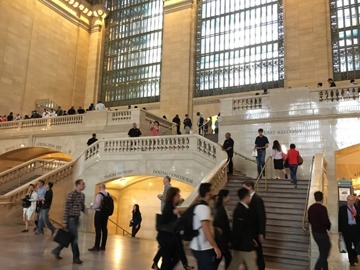 Apple's Grand Central Station store was packed as well, with the line filling nearly the entire upper deck outside. 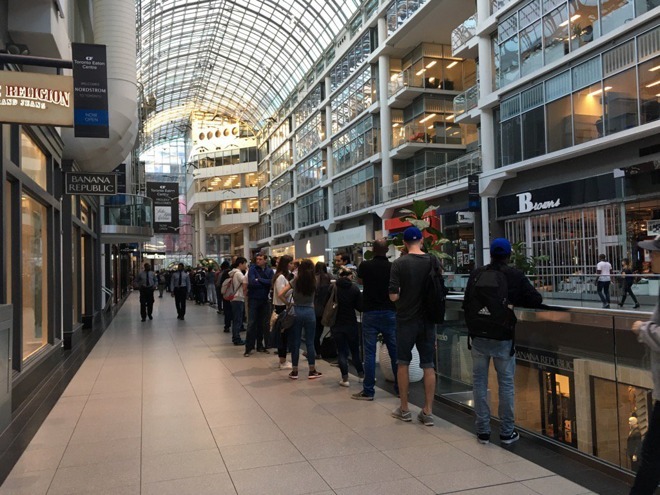 Twitter user and news anchor Rachael Rafanelli took a shot of the crowd at 5 a.m. local time in Portland, Ore.
Azzura Lalani, of the Toronto Star, is on the scene at the Eaton Centre Apple store, and noted about 150 people waiting. 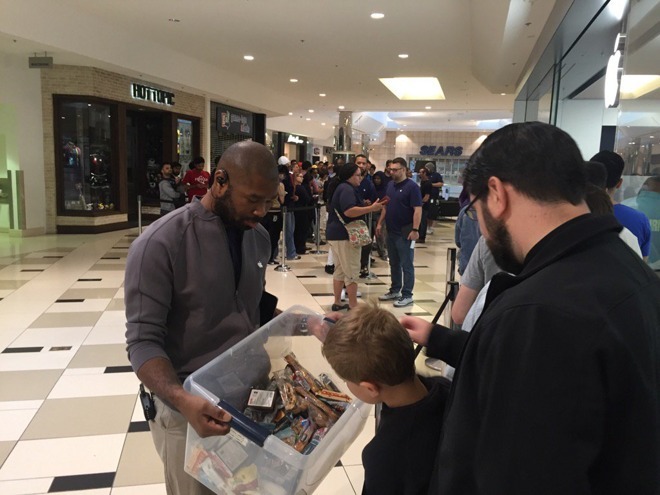 At the time the picture was taken, the line had not been separated into pre-orders for store pickup, and for people waiting for the phone for retail sale. 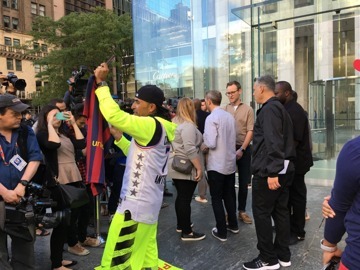 In Detroit, John Gottschalk spotted Apple employees handing out snacks to line-goers. 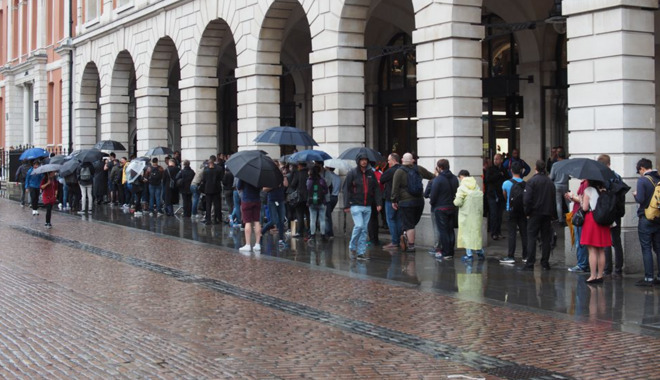 CNET documented the Apple faithful queueing outside London's Covent Garden store, despite late-summer rains. 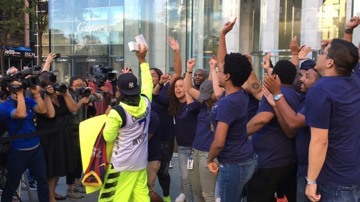 While Apple has said that it will not announce launch-day figures, by all accounts the event is going well. 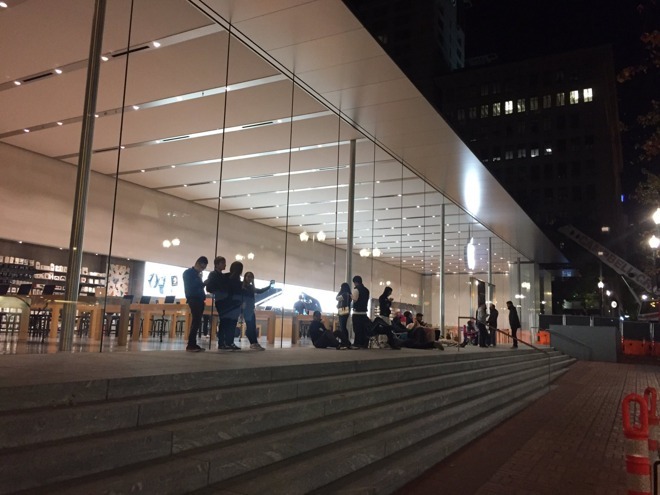 Apple has noted that it has sold through the entire launch stock of iPhone 7 Plus in all finishes, and the iPhone 7 in Jet Black. 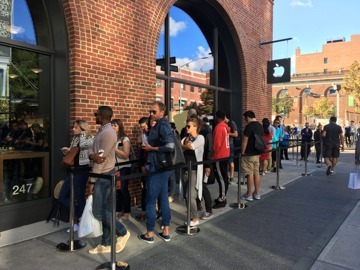 Online orders for in-store pickup will resume on Sept. 17.